California leads the nation in tomato production, producing approximately 95% of the nation's processing tomatoes, and about 33% of the nation's fresh-market tomatoes. 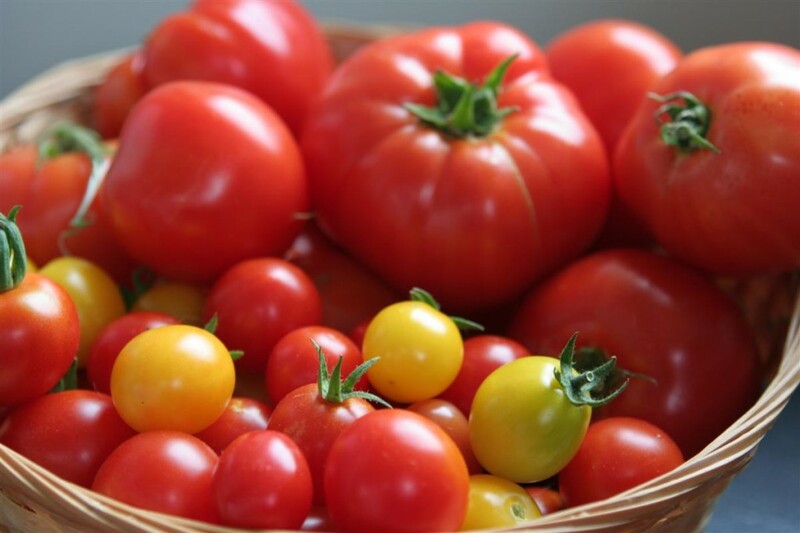 Processing tomatoes, which are the special varieties grown to use in products such as spaghetti and pizza sauce have a thicker skin than the varieties we eat directly. This allows them to retain more of their essential tomato taste when the reach the market. Processing tomatoes are grown in almost every agricultural region of the state, and during the height of summer, California farmers produce about 2 billion pounds of tomatoes every week! Three quarters of all tomatoes eaten in America are processing tomatoes. Tomatoes are the number one source of Lycopene, an important antioxidant, and are rich in vitamins B and C as well as folic acid.